The key to picking an excellent plastic surgeon is doing your research. 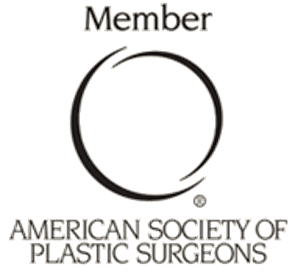 Here you can look up your plastic surgeon’s credentials and gain valuable information about his or her practice as well as other tips for choosing the right plastic surgeon for you. Your choice of plastic surgeon will be a choice that you live with for years, if not the rest of your life. On the other hand, choosing an inexperienced surgeon may lead to poor results which may require additional surgery; which is increased cost, recovery time and disappointment with the overall experience. 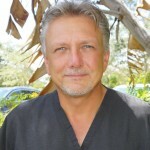 Dr. Giles’ mission statement is simply to “make your body as good as it can be today”. He believes that providing the patient with honest, accurate information to make an informed decision is the key to achieving the desired, realistic results. 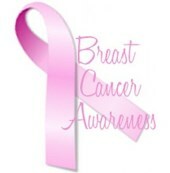 Our practice strives to strike a balance between risks, benefits, scars, recovery and expense to maximize your results. Diet, exercise, lifestyle changes and choices are also explored to allow maximal surgical results. Our office policies are predicated upon honesty and integrity to provide safe, discrete care in an unparalleled setting. There are several plastic surgery practices out there that offer “too good to be true” discounted procedures. There is something to be said for that age old adage. There are plastic surgery practices where the surgeon you meet may not be the surgeon performing the surgery or that costs like anesthesia are considered “extra”. Advertising plays a huge role in drawing potential patients in the door at bargain basement prices. Dr. Giles performs many surgeries on plastic surgery patients who were lured in by lower prices, only to have to spend money on revisions. These patients are usually very disappointed with their results and have attempted to discuss corrections with the original operating physician only to be met with additional out of pocket expenses often exceeding the original cost of surgery. 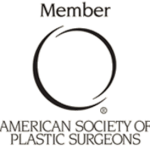 Often patients think they can depend on state boards to ensure that their surgeon is qualified to perform the plastic surgery procedures they advertise. An important little known fact is that the government does not require a surgeon to be specifically trained in the procedures they offer. No area is this more prominent than the area of cosmetic surgery. With insurance reimbursing less and less on routine care, many doctors with general surgery or other medical training have hopped on the cosmetic surgery bandwagon in the quest of greater profits. Are they board certified by the American Board of Plastic Surgeons? Where you trained specifically in the field of plastic surgery? How many procedures do they perform in a month? How many times have they performed the particular procedure you are considering? Do they have before and after photos that are current that you can view? Do they have patients that will speak with you about their experience? Are you a good candidate for the procedure you are interested in? What are my options if I am unhappy with my results? In conclusion, your plastic surgeon and his or her staff should have no difficulty in answering these and other questions you may have. You are making an important decision which has the potential to change your life for better or worse depending on your outcome. Dr. Giles and staff strive to be as informative and transparent as possible to help you feel comfortable with the entire experience, from the time you first call our office until the day you are released a satisfied, happy patient. We hope this helps you in choosing your surgeon and look forward to seeing you at your consultation. What if Something Happens to Me While I am Under Anesthesia ? One of the biggest concerns that I hear from women contemplating cosmetic surgery is “what if something happens to me while I am under anesthesia and it’s because I am doing something “selfish”? First, this is a normal and healthy concern. Everyone is nervous to some degree to have surgery, any kind of surgery, but what makes it especially hard is that as women we are usually the care givers for our families. So we wrestle with a certain level of guilt when we do something personal. At our surgery center we have board certified anesthesiologists and nurse anesthetists who provide the finest quality of care. Patient safety is our number one concern and we have staffed our practice with the most experienced clinical care givers you will find. Every precaution is taken even before surgery to make sure that our patients are medically clear to undergo anesthesia, following all state guidelines as well as utilizing the surgeon’s expertise to determine eligibility for the procedure. EKGs, vital signs and blood-work are reviewed by all clinical staff in preparation for your procedure. The patient meets with the nurse, anesthesiologist / nurse anesthetist and surgeon prior to the surgery and answers any last minute questions and concerns. Once the patient is made completely comfortable they are escorted by medical staff into the operating room. At no point during the procedure does the anesthesiologist or nurse anesthetist leave the room and the patient is monitored by state of the art equipment and the medical staff on hand. Once the procedure is completed the patient is taken into recovery where our nursing staff monitors the rest of the recovery process until the patient is awake, alert and oriented. Patients are not released until our staff feels that adequate pain control is achieved and the discharge is approved by anesthesia. Once approved the patient is safe to travel home or taken upstairs to recover in one of our recovery suites. At Giles Breast and Body Plastic Surgery, we do our best to make the surgical process an informed and pleasant experience and understand that there are natural anxieties and concerns. The best way to help alleviate the stress of the experience is to talk openly with the doctor so that all your questions can be addressed prior to your procedure and that your desired cosmetic results are achieved. Remember it is completely normal to have concerns. Surgery is not a decision that should be made lightly and we hope that in addressing any issues that may arise it helps to ease your mind and make the experience one that you can look forward to.